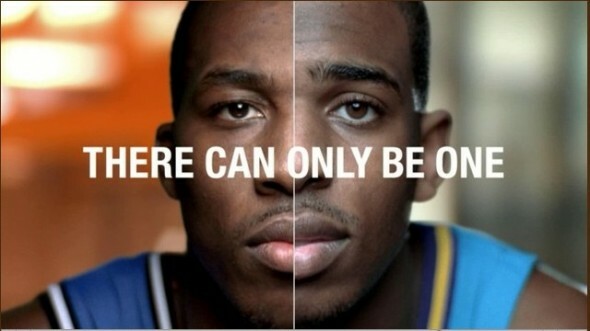 Chris Paul and Dwight Howard to the Los Angeles Lakers? Can it really happen? Hard to imagine, as both teams, the Orlando Magic and the New Orleans Hornets want the same center piece from the Lakers to make the trades happen. Andrew Bynum, as far as we know, can’t be split in to two. I thought the NBA lockout was about making it better from small market teams, to even the playing field. In some way, take the power away from the players and prevent something like the Miami Heat All-Star trio, with two of the league’s biggest stars, Worldwide superstars like LeBron James and Dwyane Wade, from happening again. The New York Knicks went for the same concept towards the end of the season, hinting at hoping to land Chris Paul in 2012. But the Lakers are after both of them, with pretty much everyone, and I mean everyone, not named Kobe Bryant, is on the table. Pau Gasol, Lamar Odom, Ron Artest/Meta World Peace. Like Gary Oldman says in Leon – Everyone! And it’s funny how these rules and caps and clauses and stricter tax measurements won’t be effective immediately. How it seems that what David Stern was preaching, about parity, about equality, isn’t here. The Lakers or any other big team is looking to take the best from the small market teams and move on. Aftermath? Who cares, we’re rich, we’ll pay the taxes later. And Paul won’t be looking to opt out of the contract when he’s with the Lakers, unlike with others suitors (Warriors, Clippers). Orlando are a bit of a different case than the Hornets, at least financially. Their owner has deep pockets but the bottom line to me is that the Magic, who are already stuck with more than one bad contract, will be willing eventually to let go of Howard for whatever the Lakers throw their way. Because this team peaked two years ago, and Howard, like Shaq, will probably be blinded by the Hollywood lights. Eventually, the big fish win. The Lockout mostly hurt us fans who wanted to see basketball. The players still feel like they have the power, and the Big markets, willing to live with the taxes when they come, will get the best players. The Lakers won’t get them both, not this summer. Not with the Hornets and the Magic wanting the same players. But when Paul and Howard are free agents? It’ll be an interesting 2012 summer, that’s for sure.